Makinohara Roasted Sencha is a characterful sencha from Shizuoka that undergoes extra roasting during finishing. 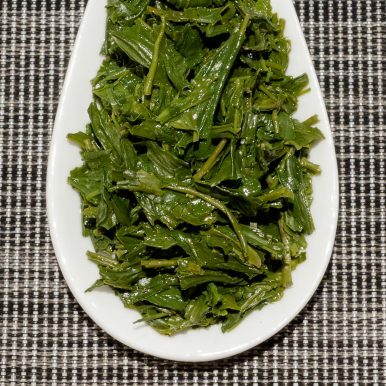 Thin and polished dark green leaves produce a pale green liquor with a nutty aroma. 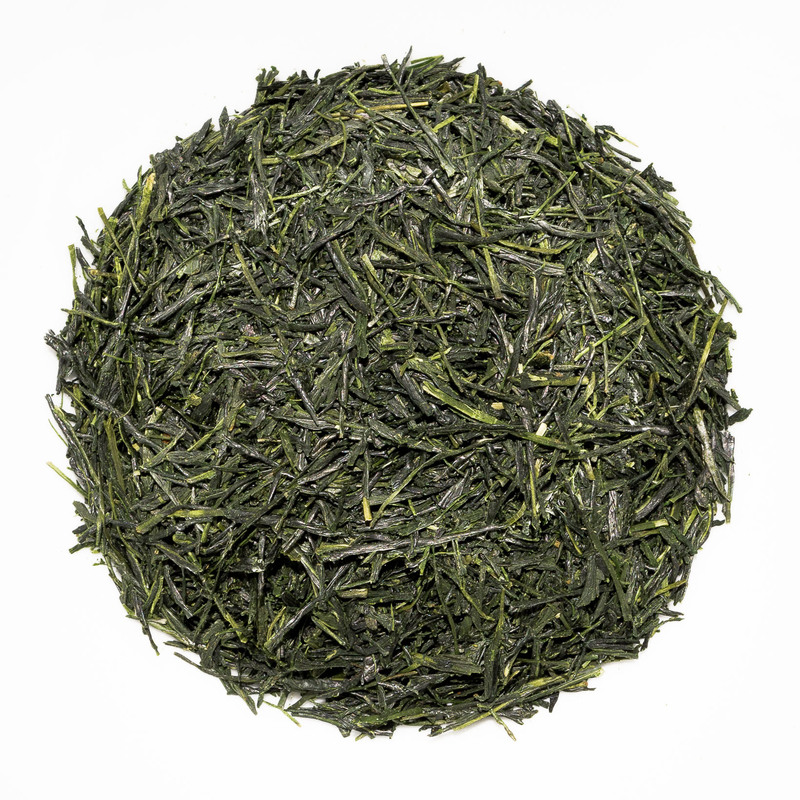 The full flavour is verdant with toasted, savoury and tangy umami notes. 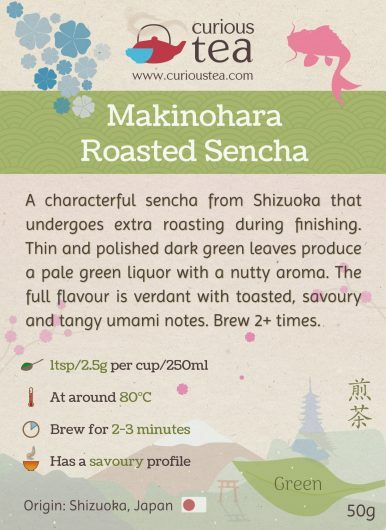 Makinohara Roasted Sencha is a green tea from Japan that undergoes additional roasting during finishing, imparting a lovely, lightly toasty character. Grown at low altitude around Makinohara in Shizuoka Prefecture, it is made from the Yabukita (やぶきた) cultivar. 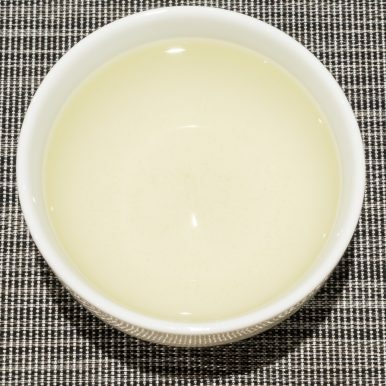 This particular batch is a second flush tea, harvested in May 2018. 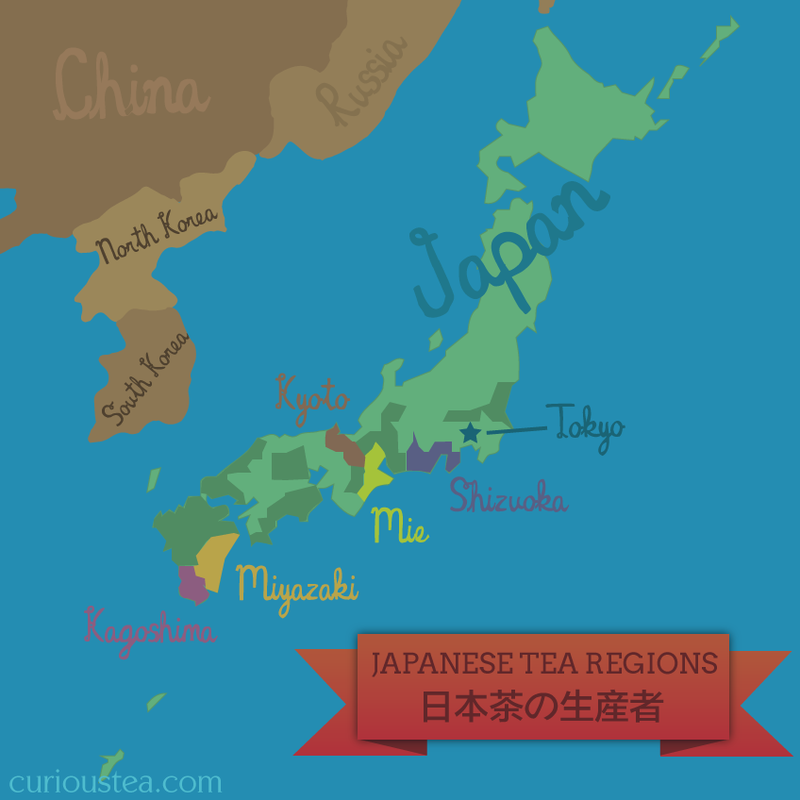 Like all of our Makinohara Japanese teas, we source it directly from the grower in Shizuoka. Japanese green teas, like this Makinohara Roasted Sencha, have a distinct flavour profile which is quite different to many others. They are generally steamed in order to stop oxidation of the leaves and keep it as a green tea. After steaming, the leaves will be rolled, shaped and dried. 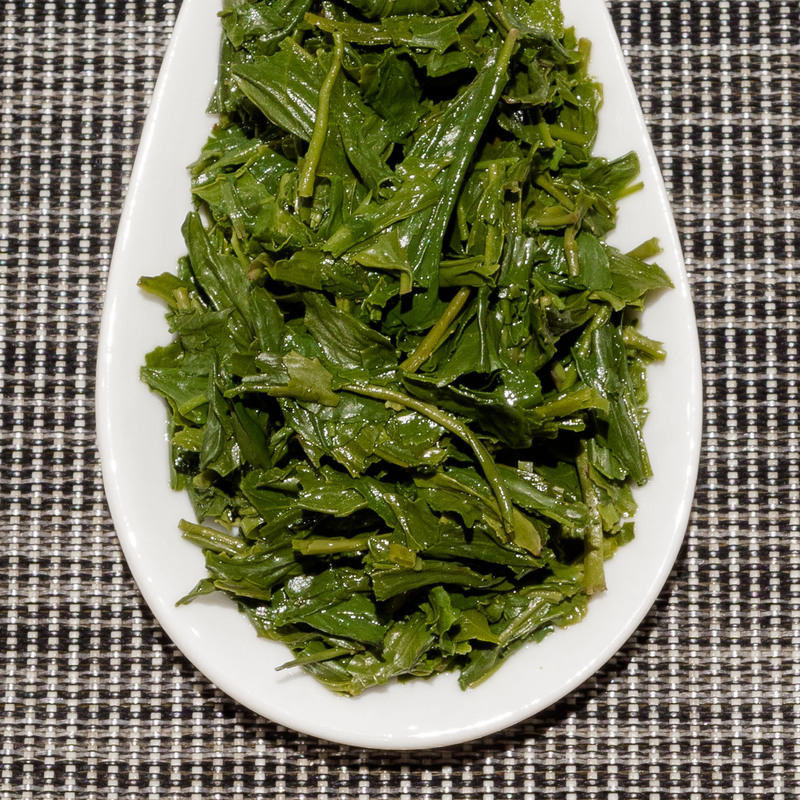 This processing imparts a particularly grassy, vegetal, savoury and umami flavour. The level of savouriness does vary, but teas particularly high in savoury and umami flavours are highly sought after in Japan and tend to command much higher prices. 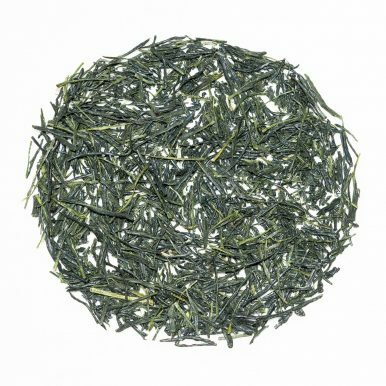 Makinohara Roasted Sencha is processed like any other Japanese green tea: by steaming the leaves. The process is referred to as kill-green or fixation. After rolling and shaping, the tea undergoes a finishing, or drying process. This can be done in various ways but often involves baking or roasting the tea. With most sencha teas this process is done quickly in order to preserve the green grassy nature of the tea. 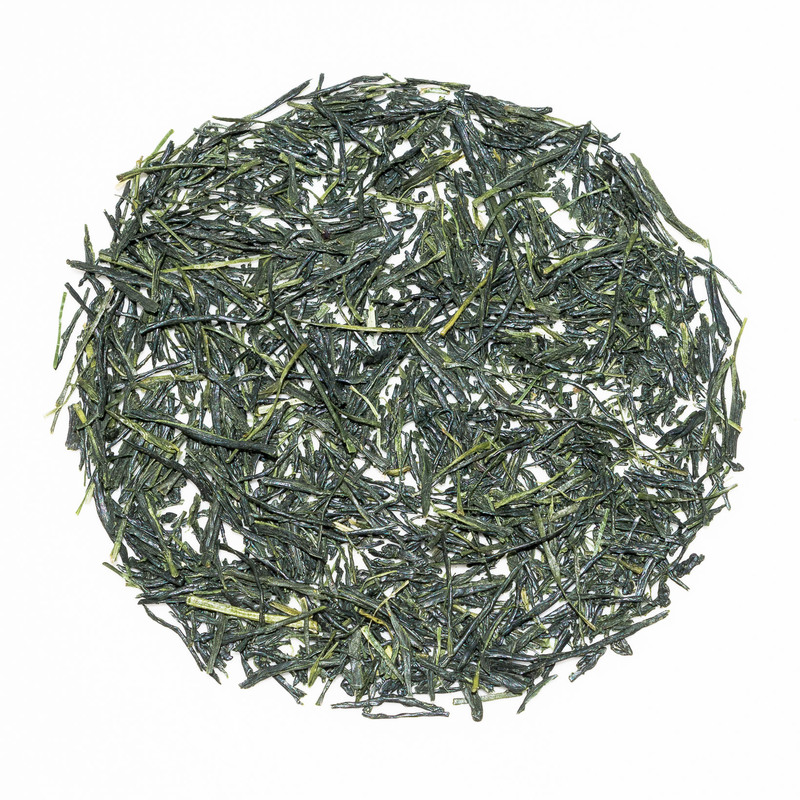 However this Roasted Sencha undergoes additional baking during the finishing process to impart a lovely toasted character and to further balance the flavours. 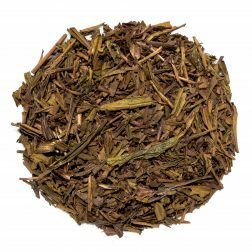 The baking is stronger than on most sencha green teas, however it is nowhere as strong as the popular roasted Hojicha green tea. 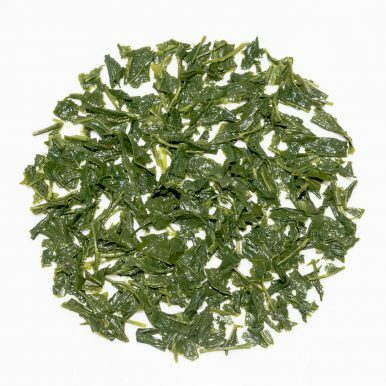 The leaves of this Makinohara Roasted Sencha are dark green in colour, thin in shape and have a typical polished appearance. 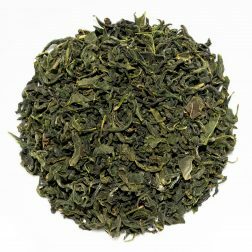 Like any good quality sencha, the dry leaves are sort of slippery and have a waxed feel to them and have a deep, sweetly green aroma. The liquor produced is a pale green colour, with a nutty and verdant fragrance. 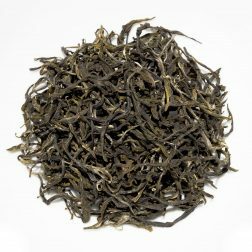 The savoury character of this tea has clean, grassy and toasted umami notes that are well balanced. 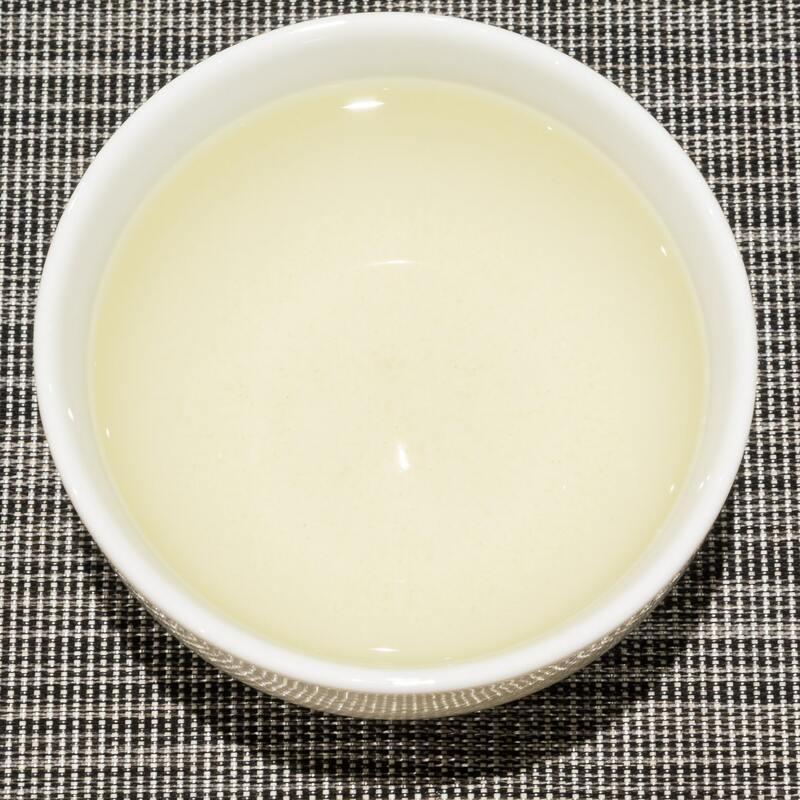 It has a satisfying quality and full flavour, with a touch of vegetal astringency and light sourness on the aftertaste, reminiscent of flower petals or sorrel soup. It is best brewed at 80°C for 2-3 minutes, with multiple infusions. 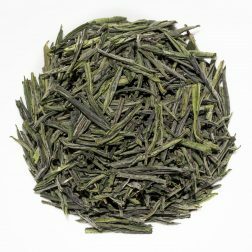 This Makinohara Roasted Sencha green tea was first featured in our January 2019 Curious Tea Subscription Boxes.